Special occasions are important events that we want to remember and cherish for a lifetime, so why not make the occasion even more special, by engaging the luxury Chrysler 300C stretch limousine. All these types of occasion come with professional chauffeurs that will bring you anywhere you like and as long as you want, just like Hollywood celebrities. Chauffeur limo services – personalised and customised to your itinerary, needs and wants. WHY CHOOSE US – IMAGE LIMOUSINES? > Our Fleet – Image Limousines offer you a wide range of fleet that will take you to your destination in elegance and style. We strive to make special events and all special occasions remember for a lifetime. > Stress-Free – We ensure that your occasion is a stress-free one, we will obtain all the itinerary details from you at the first point of contact and arrange them accordingly, without having to contact you on the day of the occasion, so you will have plenty of time to get dressed and enjoy the day and night with your friends or family. > We follow your Itinerary – Some of our clients will have various activities planned where it requires being driven to several locations. You can hire our services for as long as you need, even long into the night to keep your event going. We also have itineraries ready for use but you can also choose to customise it for your convenience. We ensure that our service suits your demands. > Fits up to 10 people – The stretch limo can fit up to 10 people comfortably, so there is room for all your friends and companions. > Proven track record – Image Limousines combine luxury transportation along with a reliable and proven track record and excellent customer service to make our client’s experience a memorable one. Arrived time is always on time. > Qualified Drivers – Our aim is to provide clients with a pleasing experience with us through our professional qualified and courteous drivers trained to do their task efficiently. We will enhance your driving experience by giving you world-class service one that will match even Hollywood’s red carpet events. Our drivers are polite, accommodating, friendly and knowledgeable chauffeur. > Drive you Anywhere – No matter where the location is around Melbourne we will take you there safely with the care and professionalism you truly deserve! We’ll also provide you multiple pickups and drop-off locations without added cost. > Insured Limo – Our fleets are insured and regularly maintained to make your ride a comfortable one. >Professional Service – We offer exceptional service with a team of friendly and trained staff who will provide you with an easy travel, organised schedule and professional service that will take you around Melbourne. Riding in a limousine to an occasion is a sure way to get the party started the moment you step inside the limo. We’ll make it fun and unforgettable as possible – it is our goal to let you feel at home while travelling. Go ahead and call us for a limousine hire and with the range of services we offer, we will help kick off your event perfectly. 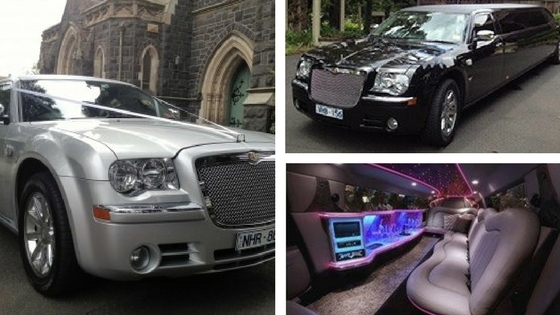 or Call us on 03 9484 3999, to hire a stretch Limo in Melbourne. We wanted to organise a limousine to take my mum to her 80th birthday in luxury. I called a few places but didn't hear back or found they didn't really care if I picked them or not. Then I found George at Image Limousines and he was wonderful from the first conversation. We hired him for 1 hour for 6 of us. He was punctual and so patient and helpful with our baby and 2 small children even providing a baby capsule at last minute. Nothing was too much trouble. If I ever need a limousine again I'll be making sure it's Image Limousines. Thanks for a great day for our mum. All I can say is wow!! From the moment I spoke with George to organise a limo the fantastic service begun. He was very polite and patient with my requests. When he arrived he was very professional and helped all of us ladies get into the limo (it was for a hens night) I will definitely be referring and using imagine limousines again! It's not often that you get such great service from a company! Thank you again so much George for making the night even more special than what it was! George was amazing on our big day! Well groomed, on time and with a big smile! He really made us and myself especially feel calm and not worry about the time! He also helped us to get everyone in church which wasn't his responsibility but he did! I would definitely recommend him for your wedding or special day :) Thanks George!!! Amazing service! George was our driver and we wouldn't have wanted anyone else. He wasn't just our driver, he set the atmosphere with his friendliness and patience. He was so helpful and reduced a lot of the stress of the day! Highly recommend George as the driver! Very professional and on time. He was very patient with our outgoing, fun bridal party! Thank you Image limousines! !